For over 40 years Johnny Murphy and Barry Quinlan have been crafting metals at their workshop in Cork city. Our experience of traditional craftsmanship, combined with modern methods speaks for itself. 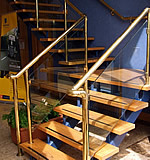 Examples of our work can be seen throughout this website; or you can call to our workshop in Cork city. 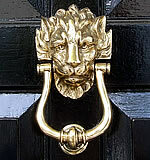 MQ Metalwork stock a large selection of replacement parts for Victorian brass and cast iron beds. 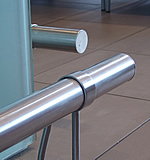 Please contact us for a quotation for your requirements. We are happy to deliver worldwide. We use PayPal for payment. 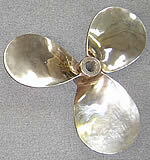 View bed parts and finials. 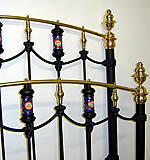 One of our workshop specialties is restoring Victorian brass and cast iron bedsteads. 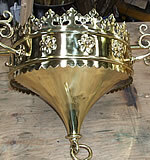 Also over the years we have restored a large and varied assortment of brass and copper items. 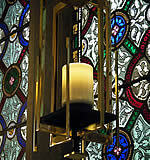 Fire place accessories, brass door fittings, lamps & chandeliers to mention but a few. 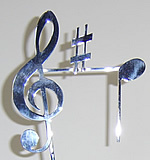 We specialize in made to order items when off the shelf products do not meet your requirements. 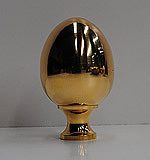 We fabricate pieces in Brass, Copper, Steel and Black Iron.